Author P HasselbacherPosted on April 8, 2019 April 8, 2019 Categories Public HealthLeave a comment on Have We Turned the Corner On Kentucky’s Hepatitis-A Epidemic? Kentucky’s Hepatitis-A Epidemic: Could We Have Done Better? A society is only as healthy as the sickest individual within it. 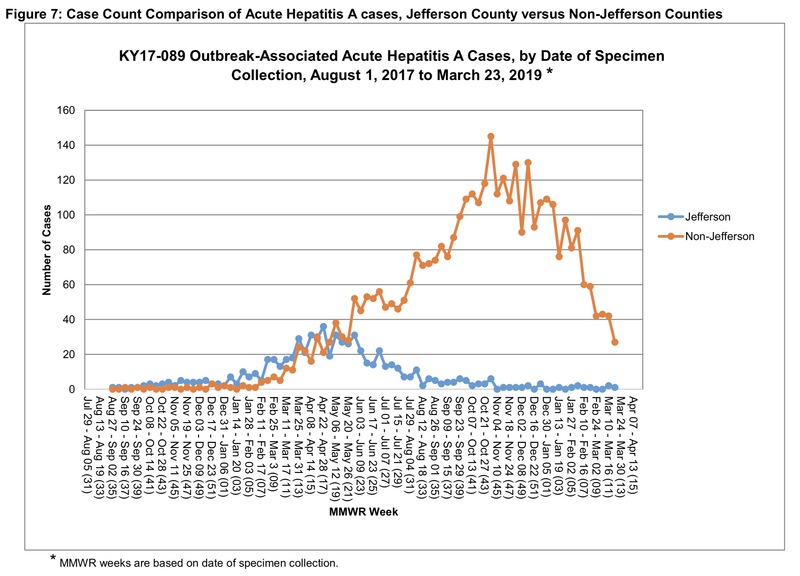 Author P HasselbacherPosted on March 6, 2019 March 9, 2019 Categories Public HealthTags hepatitis-A, Public Health, viral hepatitisLeave a comment on Kentucky’s Hepatitis-A Epidemic: Could We Have Done Better? What Will Louisville’s Medical Landscape Look Like in 2019? Isn’t it about time that the curtain is raised a little? Author P HasselbacherPosted on January 2, 2019 January 4, 2019 Categories Hospital MergersTags Blue Mountain Equity, Jewish Hospital, KentuckyOne Health, University of Louisville1 Comment on What Will Louisville’s Medical Landscape Look Like in 2019? Author P HasselbacherPosted on December 10, 2018 December 11, 2018 Categories Education, Medicaid, PoliticsTags Matt Bevin, Raynor Mullins, University of Kentucky2 Comments on University of Kentucky Dental Professor Forced Off Faculty for Criticizing Gov. Bevin’s Medicaid Cuts Gets $620,000 in Court Settlement. Another St. Joseph- London Cardiologist Is Sentenced to Prison. Could this have been averted early on before this unfortunate result? Last week, following his conviction last April for medical billing-fraud related to medically unnecessary placement of cardiac pacemakers, Dr. Anis Chalhoub was sentenced to 42 months in prison; required to pay $257,515 restitution to Medicare, Medicaid, and private insurers; and fined an additional $50,000. Dr. Chaloub’s attorneys had requested a shorter time in prison and perhaps it is possible they will appeal the sentence. Author P HasselbacherPosted on November 5, 2018 November 11, 2018 Categories Angioplasty Abuse, Quality & SafetyTags Dr. Anis Chalhoub, Kentucky Board of Medical Licensure, St. Joseph London1 Comment on Another St. Joseph- London Cardiologist Is Sentenced to Prison.